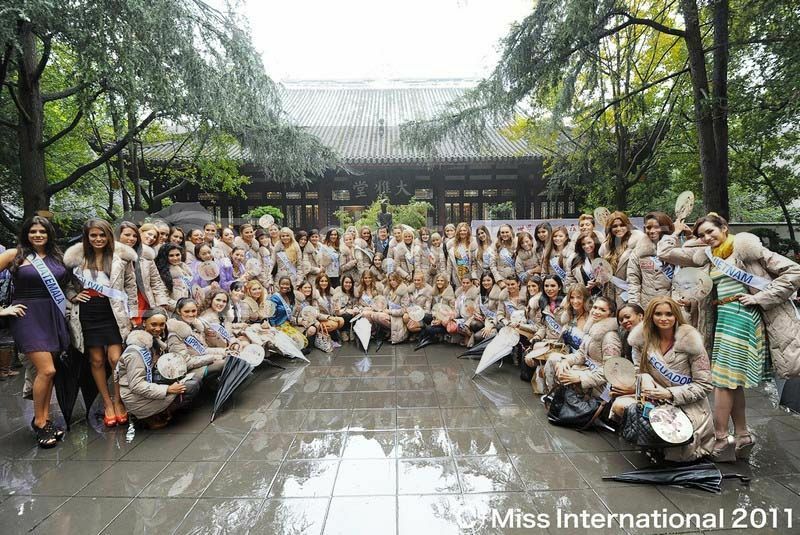 The contestants of Miss International 2011 pageant visited the Du Fu Thatched Cottage Village last October 26. The Du Fu Thatched Cottage Village is a idyllic 24-acre park and museum in honour of the Tang Dynasty poet Du Fu. It is located in the western outskirts of Chengdu, and in 1961 the Chinese government established Du Fu Cao Tang as a National Heritage site. The original thatched hut built by Du Fu was destroyed. The key buildings in the Du Fu Cao Tang Park were constructed in the early 16th century during the Ming dynasty and extensively renovated in 1811 during the Qing dynasty.